If you are looking customer relationship tool in open source technology, you will always get all the features in SugarCRM. SugarCRM is an open source and web based customer relationship management ( CRM ) software , offers unlimited fully functional CRM to users . Due to its open source behavior, it is customizable, Sugar CRM is written in PHP. SugarCRM comes in different edition , in which community edition is free and offers most of the features that can be expected to fulfill your needs . You can find SugarCRM different edition from SugarCRM Packages And Pricing . What does crm software do ? CRM Softwares manages applications and designed to help businesses customer data and sales, interaction, access business information, marketing and customer support as well as employee, in short it manage business customer relationship , contacts, clients and sales . 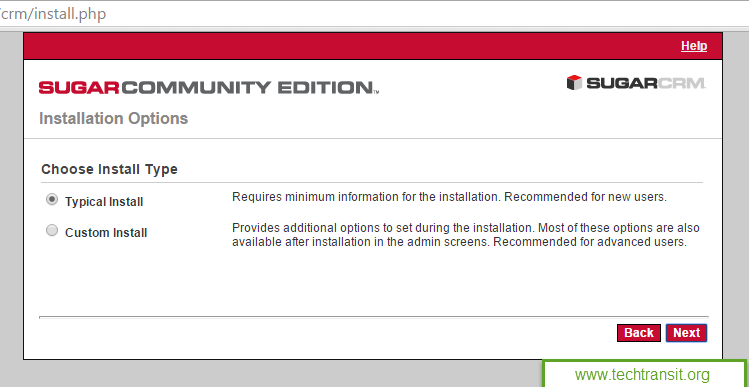 Download the latest version of SugarCRM Community Edition available at its official site link Download SugarCRM and this will redirect to sourceforge.net site. You can find direct download latest SugarCRM list and download from this Link . 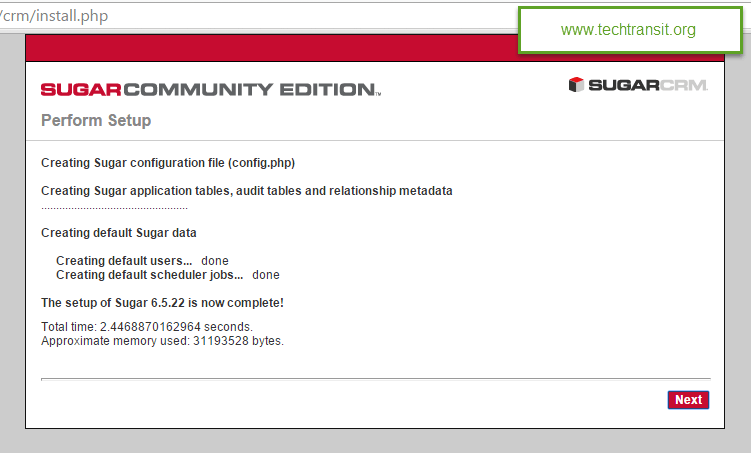 At the time of writing this guide article, the latest stable version of SugarCRM is 6.5.22 . Here we should already configure environment , where SugarCRM will be run , so we need to configure Web Server as well as Database server ( MySQL or MariaDB ) with PHP , smply called LAMP or LEMP Server with PHP extensions and Library. Apache Web Server will be equal to 2.x version or later 2.x+ version. Minimum Requirement of MYSQL Version is greater than or equal to 5.x version . PHP version 5 with GD , curl library, with IMAP, SimpleXML, ZIP, ZLIB ,mbstring extension support. Create a new Virtual host configuration file in apache. We have create a apache configuration file crm.conf in our apache configuration directory . Add the follow lines in our apache configuration file. After that restart your web server daemon according to your OS. 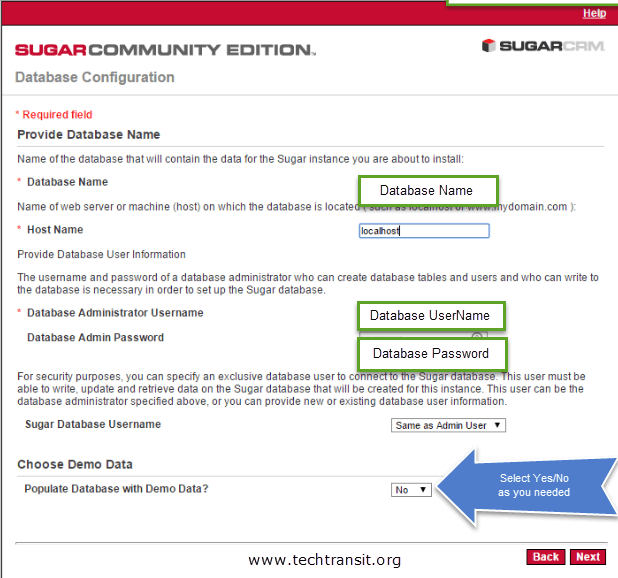 The files and directories under document root or path of SugarCRM directory should be writable from web server user and should have web server correct ownership and group ownership. You should have permission to create a database server and user and assign a permission user to database. Enter the password of mysql root password. 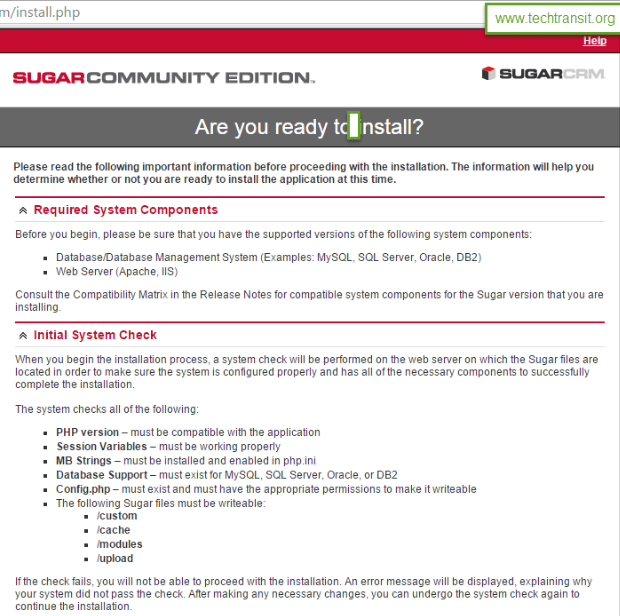 Open http://your-domain.com in your favorite web browser and follow the easy instructions of SugarCRM Web Installer . 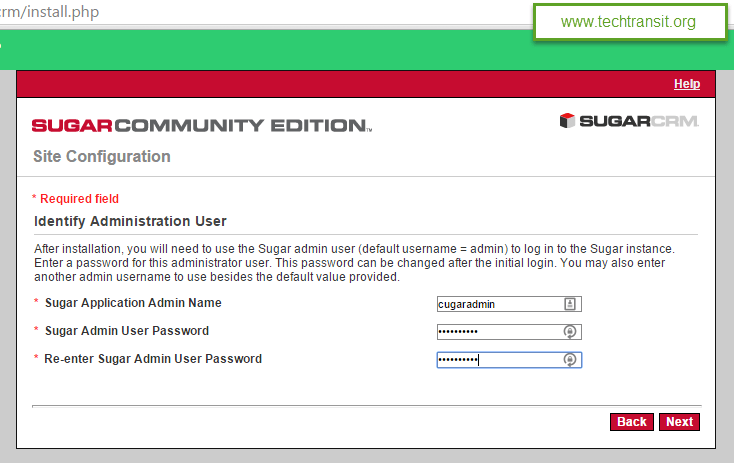 Here we have use our main domain and after that in crm folder we are installing sugarcrm . Congratulation and Thank you .. Now Enjoy your Customer Relationship Management. 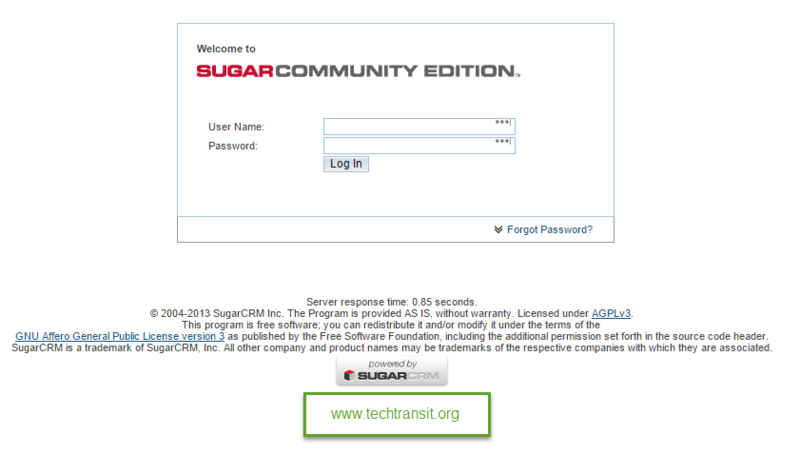 Manage SugarCRM Instance On-the-move! A proficient mobile app works online and offline. It lets you have a dynamic functionality while accessing your customers’ data on mobile devices. 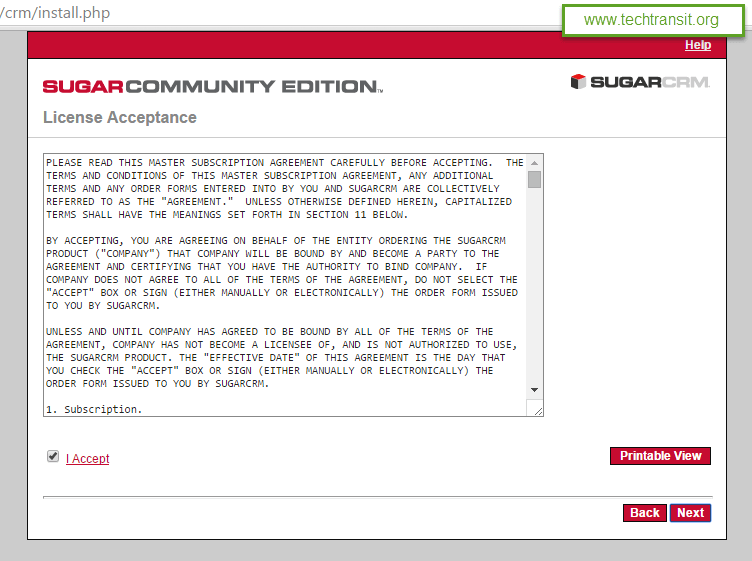 You can select various types of modules and layouts from SugarCRM back end. Experience a smooth access on-the-go!